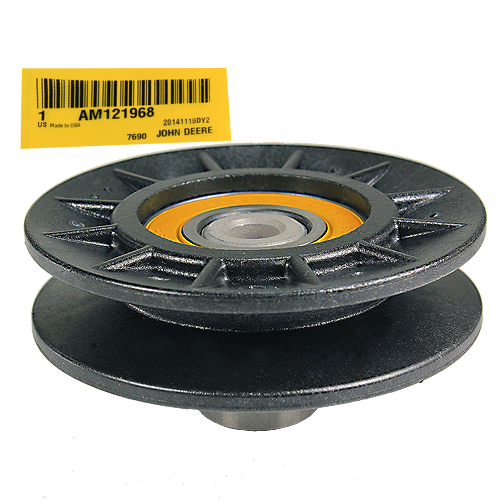 A genuine John Deere #AM121968 V-Idler Transmission Drive Pulley. Contacts the v-side of the belt on many John Deere mower decks. Original Equipment (OEM) part.